Tomorrow marks 5 months since the day the LEGO House opened its doors for all LEGO fans and their families. Back in September this amazing venue surprised us with the biggest LEGO creation is the world – a gigantic Tree of Creativity built of 6.3 million LEGO Bricks. 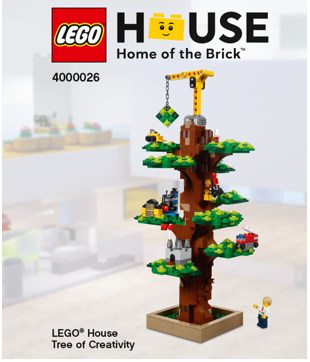 Now you can get your own small scale Tree with 4000026 LEGO House Tree of Creativity set announced today. The 837-piece set will be available exclusively to the visitors of the LEGO Store in LEGO House in Billund. The set will retail for 599 DKK ($99 USD) on March, 1st. But hurry up! Only 10.000 copies of the set will be produced! A very similar model of the Tree was first designed by Senior designer Steen Sig Andersen about a year ago. 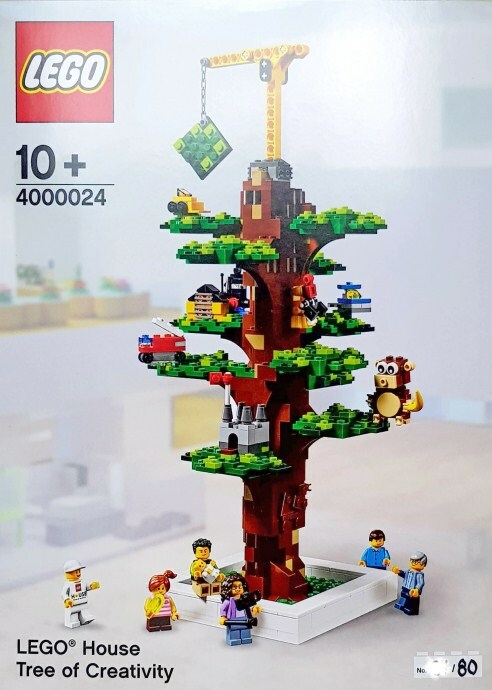 That version of the Tree of Creativity was developed as the surprise gift (set 4000024) for the participants of the LEGO Inside Tour. The product developed for Inside Tour only comes out in 175 individually numbered boxes. 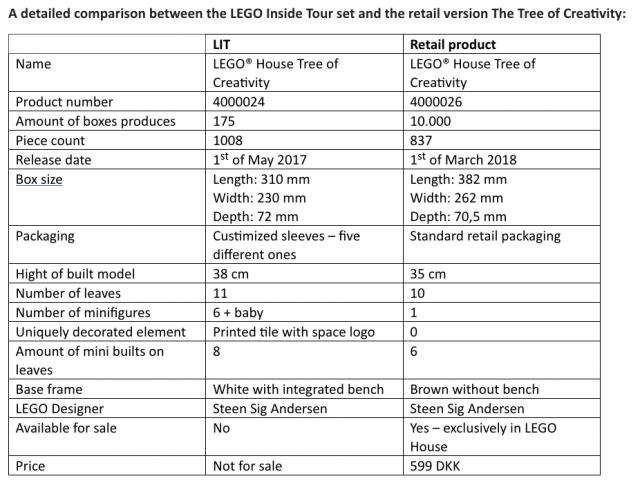 Steen Sig Andersen’s efforts resulted in a very nice retail version which is about 180 pieces smaller than the LEGO Inside Tour model. LEGO provided a nice comparison table to allow us to play ‘spot the difference’ between the two version.